First lady Melania Trump was at the helm of the 95th annual National Christmas Tree lighting ceremony on Thursday night, flipping the switch after the president led the crowd in a countdown from ten. US President Donald Trump claps next to First Lady Melania Trump during the 95th annual National Christmas Tree Lighting ceremony at the Ellipse in President's Park near the White House in Washington on November 30, 2017. 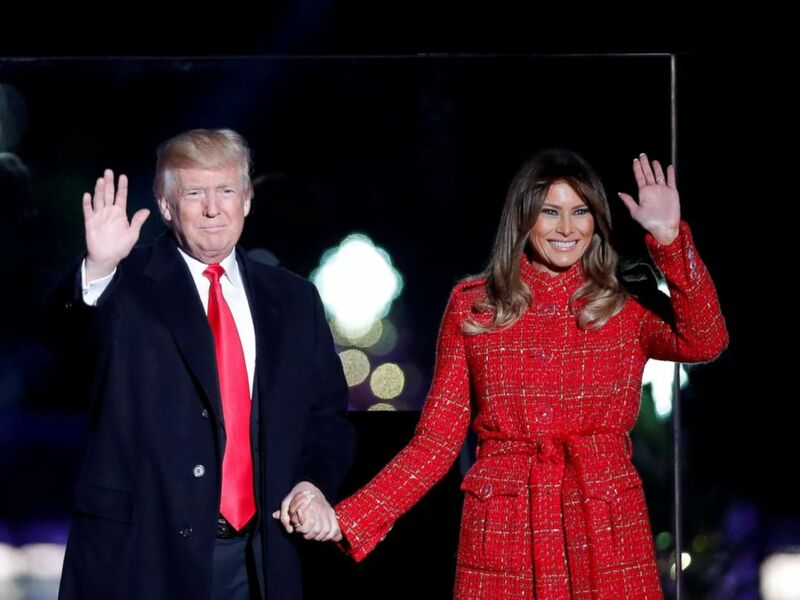 “We want to wish everybody a Merry Christmas, a Happy New Year, have unbelievable holidays and we are now going to light a very beautiful tree, and I’ll ask our first lady to get ready and maybe we'll do a countdown from 10,” the president said from the podium as Melania stood at his side, her hand ready on the switch. 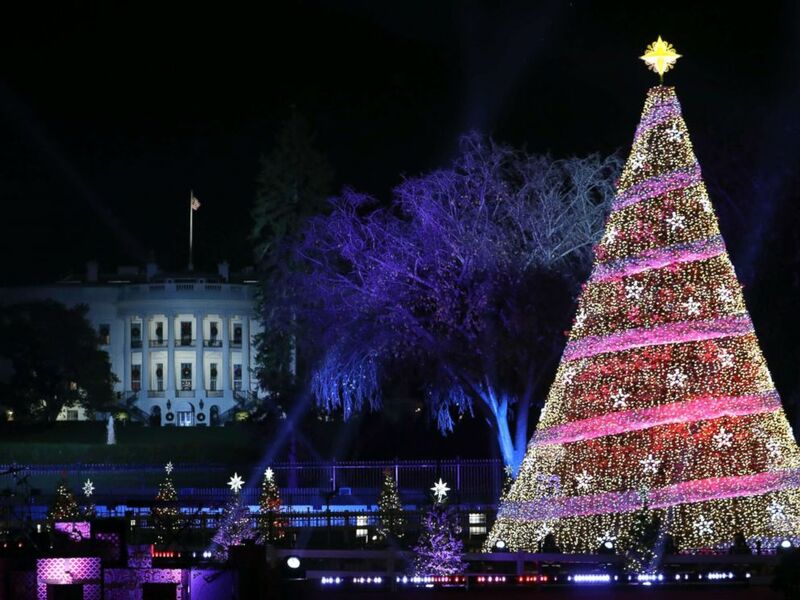 The president cued his wife and the Colorado Blue Spruce lit up behind them, covered almost entirely by thousands of lights. President Donald Trump and First Lady Melania Trump attend the National Christmas Tree Lighting and Pageant of Peace ceremony on the Ellipse near the White House in Washington, Nov. 30, 2017. 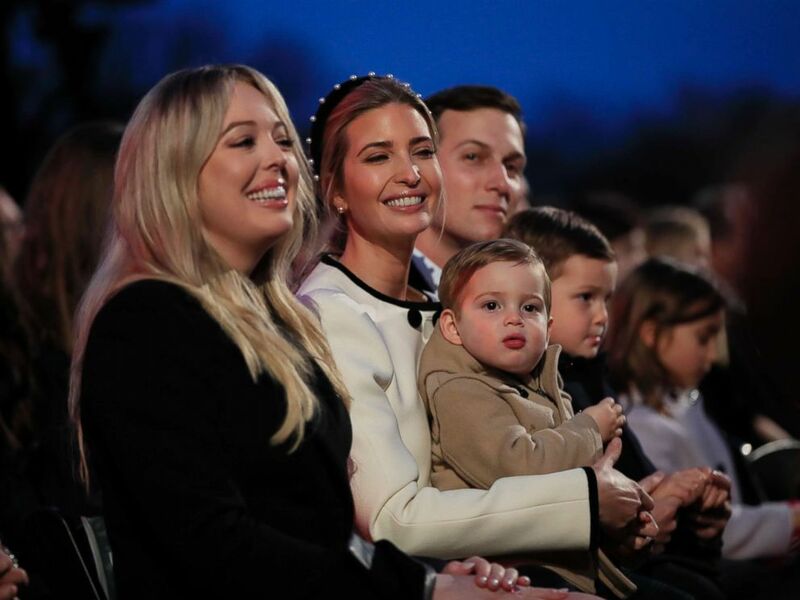 Tiffany Trump, left, sits with Ivanka Trump and her husband Jared Kushner, senior adviser to President Donald Trump, and their children at the National Christmas Tree lighting ceremony near the White House in Washington, Nov. 30, 2017. 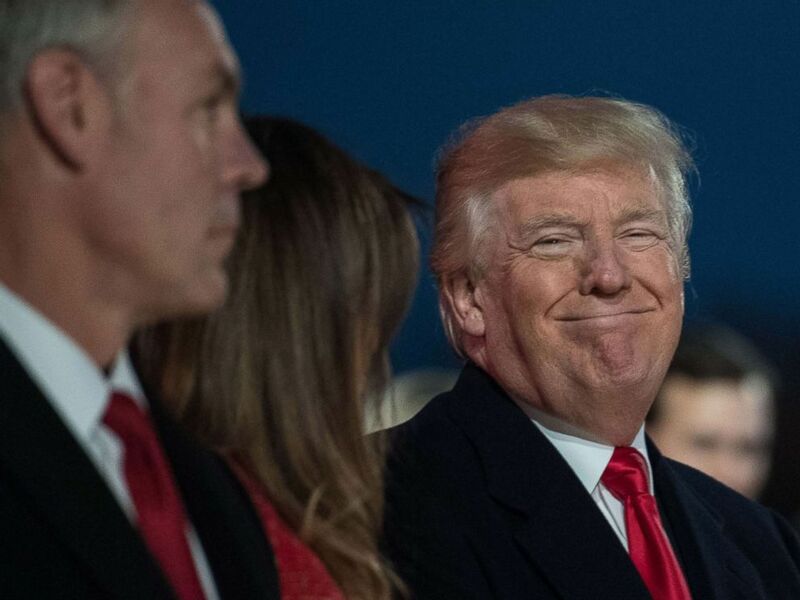 President Donald Trump smiles as Secretary of the Interior Ryan Zinke looks on during the 95th annual National Christmas Tree Lighting ceremony in President's Park near the White House in Washington on Nov. 30, 2017. Kathy Lee Gifford, a co-host on NBC’s “Today,” hosted the holiday celebration alongside actor Dean Caine. The one-hour event included performances from the Beach Boys, country-singer Wynnona Judd and the U.S. Navy Band. 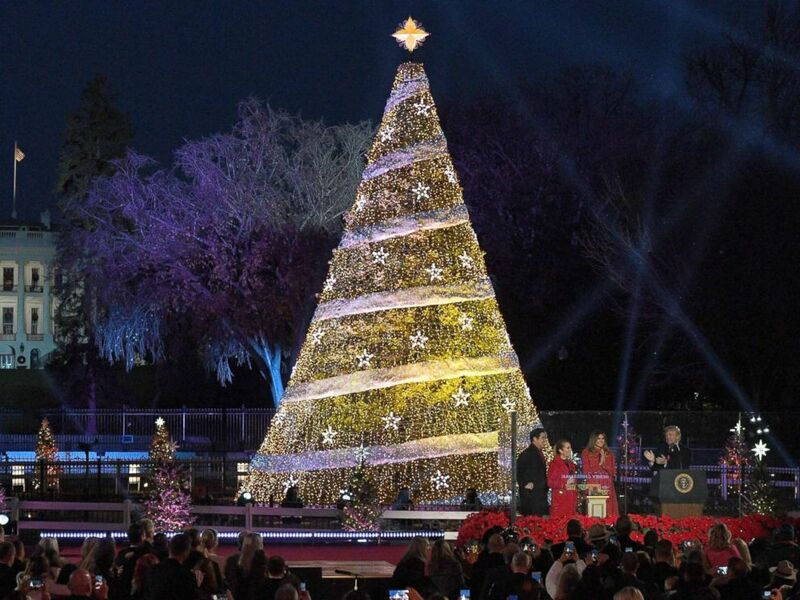 “This tree is lit,” tweeted Rep. Steve Scalise, R- LA, who had a seat just behind the president. The almost 100-year-old tradition dates back to the 30th president of the U.S., President Calvin Coolidge, in 1923. 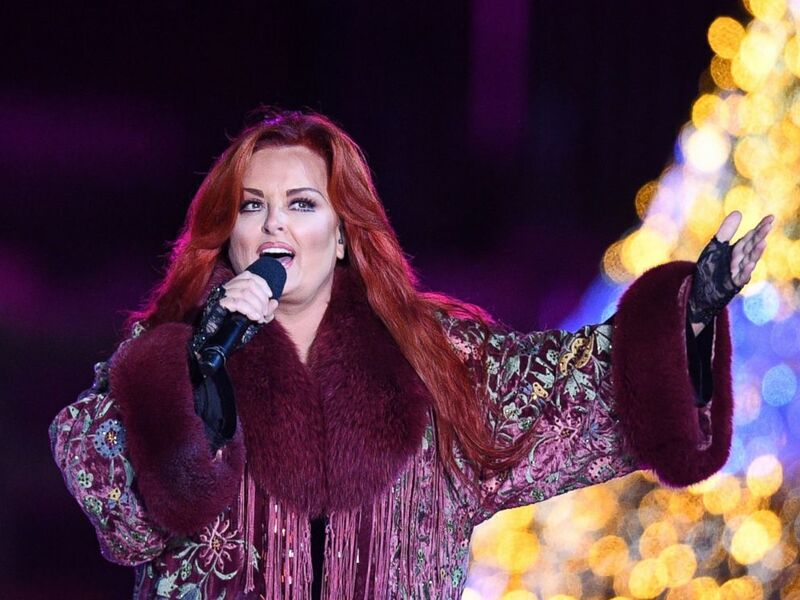 Wynonna Judd performs during the 95th annual National Christmas Tree Lighting ceremony at the Ellipse in President's Park near the White House in Washington on Nov. 30, 2017. Today, the tree has its own website -- TheNationalTree.org -- and its own Twitter account. I'm on pines and needles ?? (yeah, you read that right) with glee about #NCTL2017! Let's do a roll-call of all the awesome performers who are coming to serenade me at @PresParkNPS. The tree is open to the public from morning to midnight beginning on Dec. 1, according to its website, and the lighting ceremony kicks off three weeks of nightly holiday music celebration in front of the tree. The 2017 National Christmas Tree is lit on the Ellipse with the White House in the background, Nov. 30, 2017, in Washington.